Come and gain hands on skills through our series of 40 workshops! Our Community Education classes are held throughout the year in both a classroom and greenhouse or garden setting. Learn from our passionate and expert educators about a wide range of topics from chicken keeping to foliar feeding your plants. With classes for beginners to experts alike, we're sure we have a class for you. A limited number of reduced-tuition scholarships will be made available for each workshop and are awarded with a priority to low income individuals. See below for the online application. Marybeth, or "Mb" as we like to call her, has been a long-time supporter of WCG, having volunteered on the chicken crew and garden crew and at numerous Spring Plant Sales before joining the WCG staff in January of 2016. Mb’s prior career spanned nearly twenty years at the University of Utah in research coordination, but she’s spent every free minute since 1996 honing her gardening skills and growing vegetables, berries, tree fruits, and annual and perennial flowers and herbs. 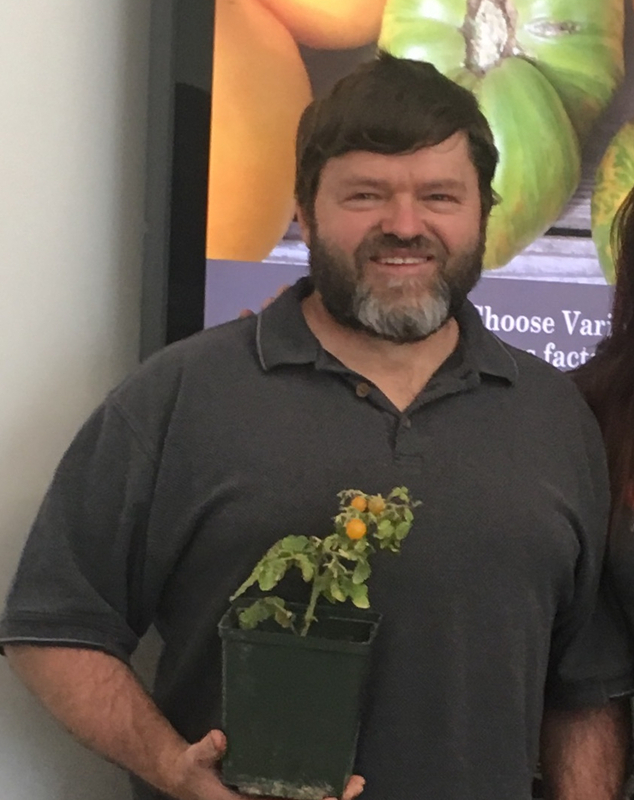 She's an absolute fanatic for tomatoes, having grown over 140 varieties of tomatoes, and she trials new varieties in the WCG Demo Garden and in her home garden every year. When she isn’t gardening, cooking, or canning, Mb can be found with her husband and three Labradors roaming the Rocky Mountains and Pacific Northwest to fly fish, hike, backpack, paddle board, or Nordic ski. 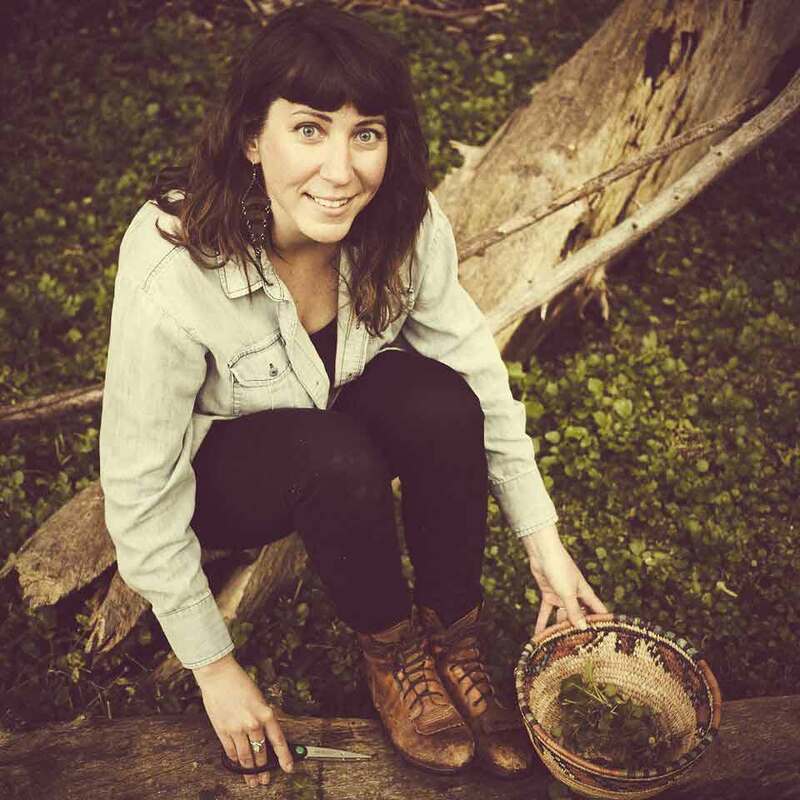 Kate is an educator, herbalist, and maker. She hails from the City of Brotherly Love, but has made her home in New Jersey, Vermont, and now Salt Lake City. While in Vermont, she spearheaded a garden education program for people in transition from mental health facilities, drug rehabs and homeless shelters. Before joining the WCG staff in 2015, Kate worked at Red Butte Garden as a youth educator where she deepened her love of teaching children about plants. Kate received a BA in Sociology and Anthropology from Lycoming College in Pennsylvania, and a certificate in Clinical Herbalism from the Vermont Center for Integrative Herbalism. In her free time, she enjoys cooking, woodworking, medicine-making, metalsmithing, and countless other ways to express herself and share that expression with others. Liz Hamilton has been a plant nut her whole life. Growing up in the D.C. metro area, she spent her childhood visiting the historic gardens and parks of the East Coast. While in college, she spent her summers on Capitol Hill working at the United States Botanical Gardens, and the US National Arboretum as a horticultural assistant. She has a BS & MS in Parks Management, and after moving to the Salt Lake Valley in 2007, completed an additional BS in Horticulture from Utah State University. 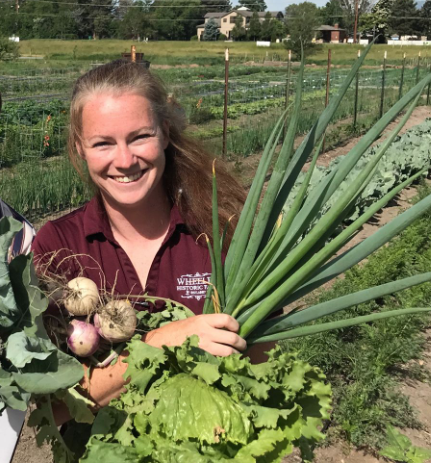 The last four years Liz has worked as a Horticulturist for Salt Lake County stationed out of Wheeler Historic Farm managing the grounds care of several different park locations totaling around 100 acres. From fruit tree pruning and vegetable gardening to native habitat restoration and design, she has worn a lot of different hats in the field but is most passionate about edible landscaping and unusual species. In 2018 she started a small horticulture consulting business that lets her spend more time with her two little girls at home while still being firmly rooted in the SLV gardening community. 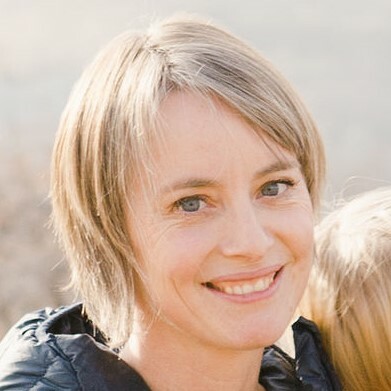 Celia Bell has been an organic gardener in the Salt Lake Valley since the late 1990s and has a degree from Weber State in zoology with minors in botany and chemistry and additional horticulture training from Utah State. If that’s not enough to knock your socks off, she also farms an amazing homestead with cover crops, high tunnel hoop houses, chickens, and the most abundant winter squash, tomato, onion and garlic harvests around! She also cans, dehydrates, pickles, and ferments the fabulous produce she grows, all in her wonderfully-rich, perfectly loamy soil that she’s been developing over the past 20 years. Celia is the person to teach you about understanding and improving the soil in your garden!! Adam Brewerton is the Wildlife Conservation Biologist for the Utah Division of Wildlife Resources' Northern Region. He is responsible for the management and monitoring of the birds and mammals with special conservation concerns. Adam has been working with the Division for 10 years conducting bird surveys, small mammal trapping and bat surveys, currently serving as chair of the Utah Bat Conservation Cooperative. He grew up in northern Utah and has been interested and studying the wildlife of Utah for his whole life. He got his degree in Avian Ecology from Utah State University studying the bird community of the sagebrush desert in west-central Utah. He loves the outdoors, hiking, biking, rafting, and can't imagine a better job. Laura has been chasing wild bees for 20 years. With so many reasonable people running away from bees and screaming, she started the Wild Bee Project in 2015 to teach that wild bees don't sting. 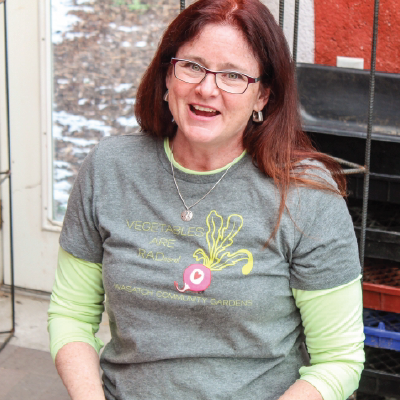 "Gardening for bees" became her go-to workshop as she discovered all the wonderful garden people in Salt Lake who are curious about wild bees and seeing more bees in their gardens. The Wild Bee Project now focuses on habitat, helping urban vegetable growers set aside and landscape parts of the farm to retain wild pollinators and other beneficial insects, with funding from USDA. Being raised by a health nut raw foodist mother; Kat has grown up growing sprouts and wheatgrass. She had her first business experience as a preteen with a juice bar in her mom’s greenhouse where all the locals came for wheatgrass shots. She started her second business selling organic seeds and kits while in business school. Her small garage business kept growing and she joined forces with Mountain Valley Seed in 2014 to expand to microgreen, vegetable, and flower seeds. She lives, works and sprouts in South Jordan with her husband, four kiddos, dog Butterscotch and wild bunny Cookie. A limited number of reduced tuition scholarships are available for each of our workshops unless noted otherwise in the description. We encourage low income community members and students to take advantage of these scholarships. Ensuring that our garden education is affordable and available for all members of the community is important to our organization!